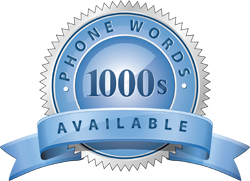 Business phone words provide significant marketing benefits. When urgently needed, they facilitate easier recall, 14 times better than numbers do. If ingeniously crafted, they impress the clients, and when used with other forms of advertisement such as posters and radio and TV commercials, they help the business remain on top of the market’s mind. Also, looking up numbers in the phone directory and writing them down slows transactions. Since fast service means more satisfied customers, removing the barriers to a smooth transaction helps attract customers and therefore, increases sales. The most effective phone names must be able to connect to what you offer, and reflect your brand and your unique selling proposition. For instance, when you specialize in oven-fresh pizzas, you may use 1300 FRESH PIZZA or 1300 HOT PIZZA. Avoid using words that can take your message out of context. Try to be unique but don’t overdo it. Avoid using phone words that are nearly similar to your competitor’s as these may sound generic or give the impression that you’re a copycat. Incorporating your name to the phone words can work well especially if your brand is already established. It must be easy to spell. Do not use phone names that are out of this world, such as 1300 HIHWOZZHJC, unless you and your target customers have a special code—which is highly unlikely. Hard to spell phone words create confusion and we all know that a confused customer is an unhappy customer, so in the end, you’ll have zero customers. Know what danger words are. Danger words include the use of misspelled words, slang, abbreviation, “4” instead of “for”, “2” that can be confused for “to”, “two” and “too” when spoken orally, additional words such as “my”, “a”, and call to action words like “call”, “ring” and “dial”. 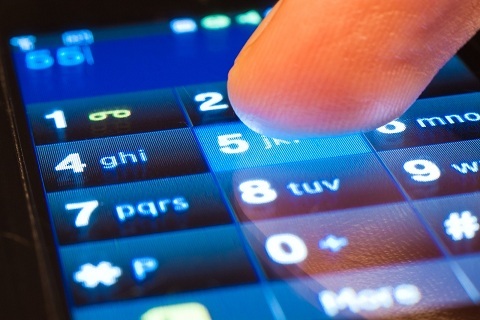 These make your number harder to remember and could mistakenly lead calls to your competitors. Mobile phone words are cost-effective tactics for promoting your product, which paves the way to better visibility and brand awareness. Registration allows a company to secure phone words, but remember that only one can claim the best. It would be wise to register your phone words the soonest in phone number providers like 1300 Easy Dial.